Note: You can enter this giveaway one (1) time per e-mail address per day. Deadline is 11:59PM ET 5.1.17. Many people avoid baking because they think it’s a difficult and complicated process. If that’s you, be prepared to have your mind changed. 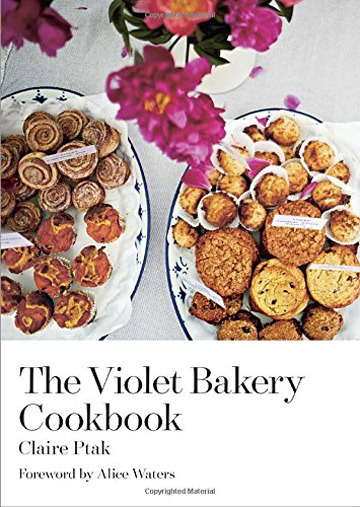 The Violet Bakery Cookbook is all about baking simple with results that are satisfying to eat. This collection of sweet and savory baked goods focuses on quality, seasonal ingredients to create great-tasting pastries, tarts, and more. More than 100 recipes include breakfasts, snacks, desserts, fruit preserves and cakes. This Butternut Squash Quiche is sure to make you a believer in home-baked goods and the Violet Bakery way. NO PURCHASE NECESSARY TO ENTER OR WIN. Void where prohibited by law. Open to legal residents of the 50 U.S., D.C. and Canada (excluding Quebec) who are at least eighteen years old at the time of entry and have internet access. Begins on 4.10.17 at 12:00:00 a.m. ET and ends on 5.1.17 at 11:59:59 p.m. ET. To enter this giveaway, submit your full name and email address on this form. Odds of winning this giveaway depend on the total number of eligible entries received. Only one (1) entry per email address per day. Sponsored by Leite’s Culinaria, Inc. For more information, visit our Official Rules. For a list of winners, check out our Very Happy Winners page. Be sure to add giveaways@leitesculinaria.com to ensure notification if you are the winner.